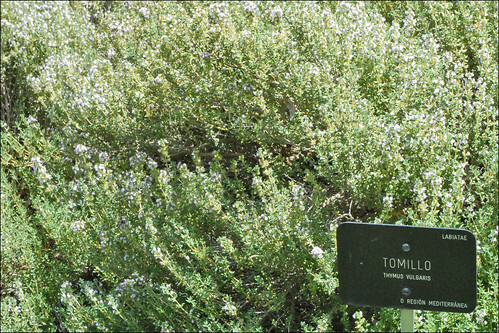 Common thyme is a low growing herbaceous plant, sometimes becoming somewhat woody. It is native to southern Europe, where it is often cultivated as a culinary herb. 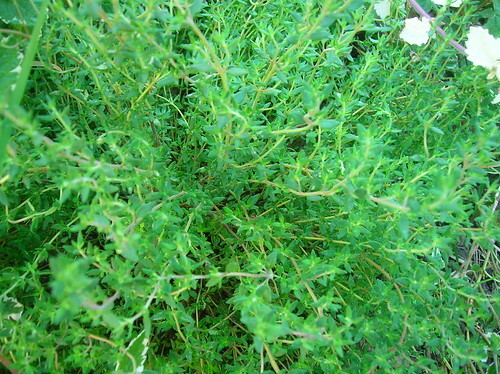 Thyme adds a distinctive aromatic flavoring to sauces, stews, stuffings, meats, poultry – almost anything from soup to salad. The plant's essential oil contains a powerful disinfectant called thymol that is effective against bacteria and fungi. Thymol also acts as a expectorant, loosening phlegm in the respiratory tract so it can be coughed up. 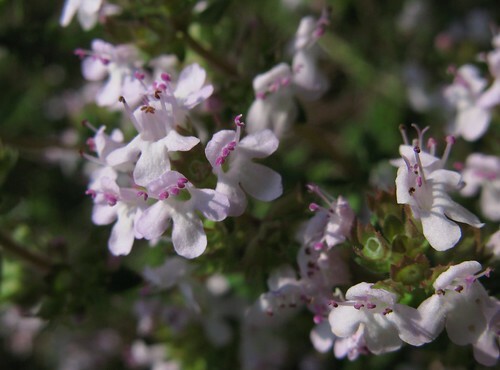 Herbalists list thyme for these uses and as remedy for numerous other complaints, including diarrhoea and fever. They prescribe the oil externally as an antiseptic for fungal infections such as athlete's foot.